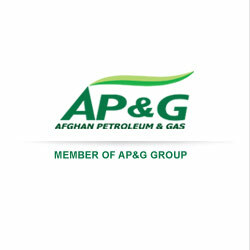 Afghan National Petroleum a subsidiary of AP&G Group, is involved with bulk import of superior quality petroleum products such as LPG, Diesel, Petrol and Aviation fuels to Afghanistan from Russia, Uzbekistan, Kazakhstan & Turkmenistan. ANP has established a network of fuel storage facilities in order to maintain its quality and product differentiation in the country. Through partnerships with environmental experts and by using new technologies we are finding ways to help reduce the impact of our operations on the environment. We are supplying energy to help support economic growth and development. At the same time we are addressing concerns of communities near to our operations, upholding our reputation and protecting our business. Safety is our top priority. Our goal is to have zero fatalities and no incidents that cause harm to our people and neighbors and put our facilities and customers at risk. Established in 2004, Afghan National Petroleum currently has a total capacity of 40,000 tons of fuel storage located in Kabul, Hairatan, Mazar Sharif, Herat and Turgundi. Additionally ANP possesses 10 fuel tankers to distribute to its clients.